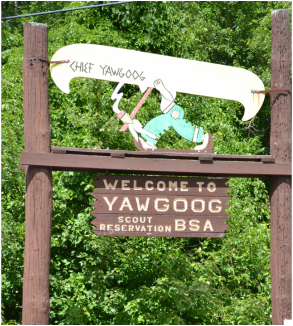 In order to continue the sustainability of the Camp the Yawgoog Alumni Association was started by H. Cushman "Gus" Anthony in 1980. The primary mission is similar to most other alumni associations and they serve to raise money for improvements on the camp. As of late, they opened the Yawgoog Heritage Museum which houses books, uniforms, patches and pictures from throughout the camp's history. Remodeled all three camp amphitheatres, constructed four new buildings at Camp Craft, provided multiple program improvements including the waterfronts, shooting sports, robotics, wi-fi to name a few.